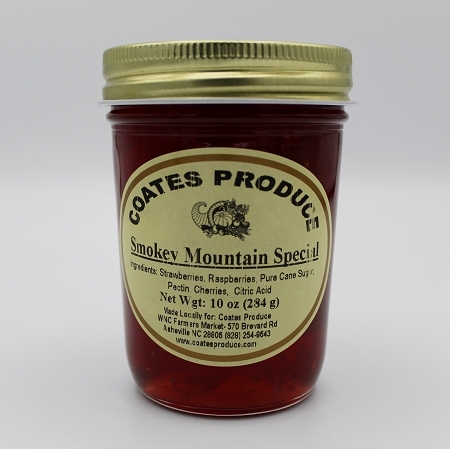 Smokey Mountain Special is the perfect combination of strawberries, raspberries, and cherries. These preserves are made in small batches and hand stirred. Ingredients: Strawberries, raspberries, sugar,pectin, cherries.